Our mission is to provide a safe environment for the citizens of Sandusky County through fair, efficient, and prompt enforcement of animal control laws. We also pledge to care for the animals in our kennel with compassion, do our best to return lost dogs to their rightful owners, and find homes for those that have become homeless through no fault of their own. 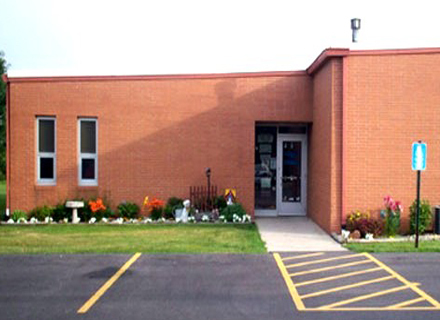 The Sandusky County Dog Shelter is a department operated under the direction of the Sandusky County Commissioners. Each Ohio county is required by state law to employ a Dog Warden. The Sandusky County Dog Warden and Deputies are required to patrol the county and impound any stray and unlicensed dogs as well as to enforce section 955 of the Ohio Revised Code. The Sandusky County Dog Shelter receives hundreds of stray dogs and adopts them to new homes or redeems them to their owners each year. The Shelter strives to reduce the number of stray dogs throughout the county and provide homes for the hundreds of dogs brought in each year. The Dog Shelter per the Ohio Revised Code is not authorized to handle cats.